As part of the Mirpuri Foundation’s sustainability efforts, the non-profit organization is now sponsoring António Silva, a Portuguese surfer competing in the 2018 Big Wave World Tour. António is committed to raising awareness towards the outstanding amount of trash, namely in the form of plastic, found in our oceans and will actively take part in Coastal Cleanup initiatives promoted by the Foundation. The Foundation plans to promote awareness towards the widespread use of plastic, and to prevent this same plastic from ever reaching our oceans. It will now include among its ranks this big wave athlete, a reference for young people as a popular and successful surfer as well as a man who actively works to keep our oceans clean by removing trash from the seas almost every day. 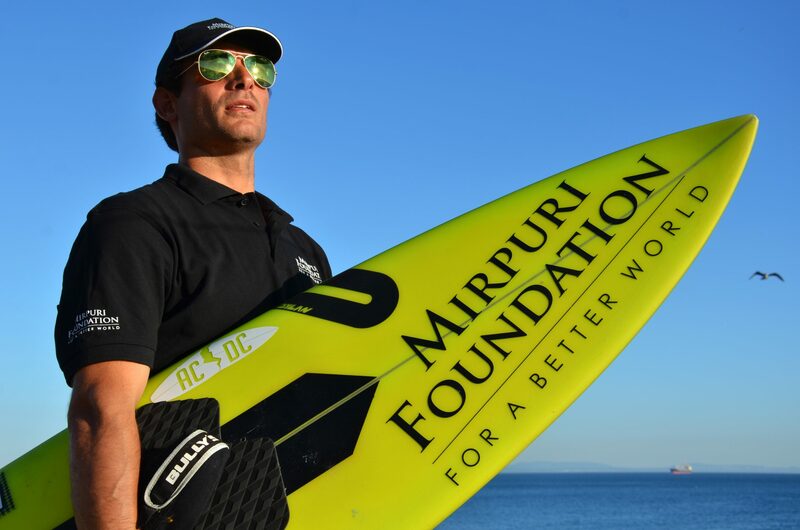 The Mirpuri Foundation’s logo and message is now stamped on António’s clothing, gear, surfboard and jet ski. The 32 year old surfer started his career at the age of 18 and holds the Portuguese record for successfully surfing the biggest wave in Nazaré. Only the best surfers enter the Big Wave World Tour championship and it is an invitation-only event. António Silva will compete in places such as Maui and Mexico and will be riding the waves flying not only the Portuguese flag but also an important sustainability message that affects us all.